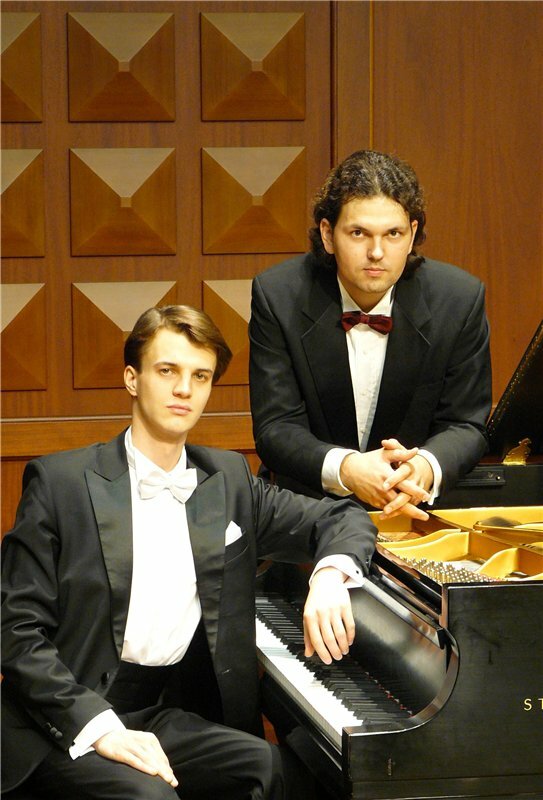 Brilliant pianists Alexander Sinchuk and Vladimir Khomyakov formed their piano duo in 2012 in Los Angeles, under the guidance of maestro Daniel Pollack – legendary American pianist, professor and Prizewinner of the First International Tchaikovsky Competition in Moscow (1958). After graduating from the Moscow State Conservatory, both pianists have had an extensive and successful solo career in Russia and abroad. Sinchuk’s and Khomyakov’s individual creativy and chasrisma succesfully meld together to create a union of two daring contrasts and unique expression. They wondrously transform the idea of the piano duo by going beyond the horizons of musicality and virtuosity, conveying a convincing understanding of both classical and contemporary music. 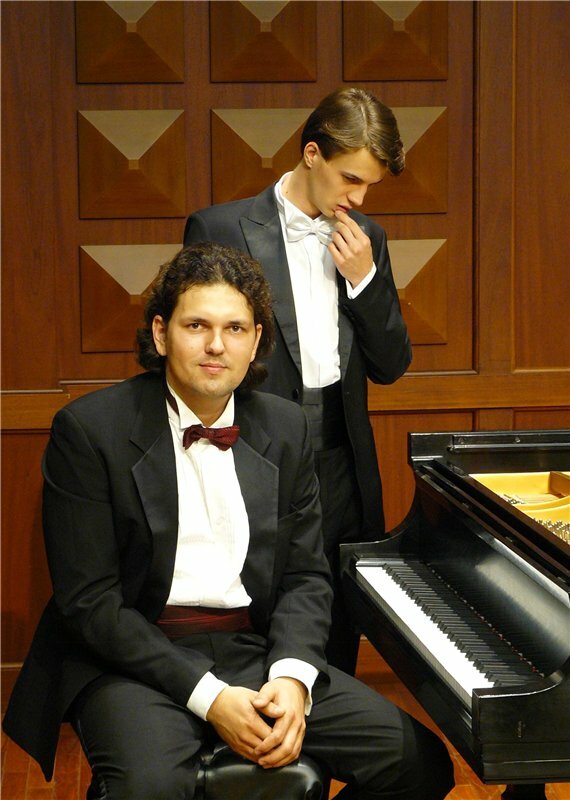 Khomyakov’s and Sinchuk’s piano-duo includes a vast array of musical styles. They have performed various outstanding works such as the complete collection of Sergey Rachmaninoff’s two piano repertoire, as well as their own transcriptions of renowned masterpieces of orchestral music, thereby demonstraing their prodigious and creative mastery.